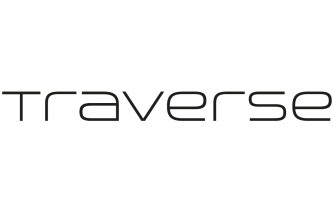 Welcome to episode 002 of Traverse Talks. A new regular series from the Traverse team in which we’ll be speaking about different topics from the world of digital influence, marketing and events. This week we we’re very lucky to have the fabulous Emily Leary from AMummyToo.co.uk chatting all about digital influencers and brand relationships. A MUM OR FAMILY BLOGGER? Q2) 12:30: – WHEN YOU’RE WORKING WITH BRANDS, HOW SHOULD INFLUENCERS QUANTIFY OR DISPLAY OUR VALUE TO THE CLIENT? WHAT IS THE ROI? Q3) 24:01: – HOW DO YOU THINK INFLUENCER/PR RELATIONSHIPS WILL CHANGE OVER THE NEXT COUPLE OF YEARS? Q4) 43:20: – WHEN WORKING WITH BRANDS & PR’S WHAT ONE MISTAKE DO YOU SEE REPEATED AGAIN AND AGAIN? Q5) 50:18: – DO YOU HAVE ANY CAMPAIGN HORROR STORIES? Emily Leary talks to Traverse about Influencer Blogger and Brand Relationships. Thanks to Emily again for being an amazing guest for episode 002.